① Twin Casino Review 2019 ▷ Get €200 + 100 FS Bonus! Established in 2017, Twin Casino strives to be unique in all possible ways, allowing the true value of online gaming to shine through. Even though this means featuring games with a higher return to player percentages and promotions with better terms and conditions, the casino manages to live up to their goal and set themselves ahead of those who compete with them. They provide multiple language options, including Finnish, Swedish, Norwegian, German and of course, English, allowing regions under their Malta license to join with ease. Our Twin Casino Review reveals a broad variety of top developers on their game page, which includes the most exciting slots with multiple new releases each month. 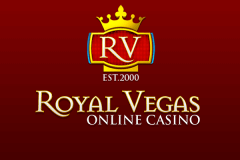 There are also loads of other casino games, including virtual tables, roulette, video poker, scratch cards, live dealer games and much more. Irrespective of your interests, the Twin Casino team has it all! An exciting discovery of the Twin Casino review is the bonus section, offering new members the “Twin package” where double the action takes place! As a new member, the casino welcomes you with a package covering both the first and second deposit with a 100% match up to 100 Euros. However, the benefits don’t end there as they provide the option to further enhance the package by adding 50 free spins per deposit. To claim the free spins online casino bonus on Dwarf’s Gone Wild, a minimum deposit of 50 Euros is required, which is still doubled by the match bonus, but simply means you’ll score another 50 free spins! 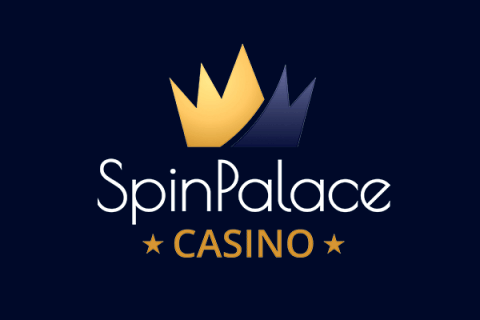 Therefore, a total welcome package of up to 200 Euros and 100 free spins can be yours by simply registering an account and choosing their easy and secure banking options to make your first deposit. More Exciting Promotions from Twin Casino! The true benefits of becoming a Twin member might shine through as a new member, but even more extraordinary offers show up on the promotions page. Not only can you take part in the daily and weekly bonus offers, but they have special features such as casino tournaments and games of the week as well. The special offers can reward anything from free no deposit cash bonuses through to free spins, just to add that extra touch of excitement! If it is gaming fairness, reliability and award-winning software you’re after, this Twin Casino review is sure to reveal what you want! The casino only features developers that provide an RTP of above a certain level, automatically providing members with the major advantage in terms and fairness, rewards and professionalism. Even more importantly, these award-winning developers provide the most advanced PC and mobile software, focused on extraordinary 3D animations and graphics. On the Twin Casino game page, you’ll discover full libraries from NetEnt, Microgaming, Play’n Go, Pragmatic Play, Yggdrasil, Quickspin and more. With well over 700 games, the casino development team created advanced searching features, including filters that make new discoveries easy as you can choose developers, bonus features and even themes. To make things as easy as possible, the casino features multiple sorting options for the slot page where you can choose to sort them alphabetically, by popularity or by providers. The popularity option remains a great choice, revealing the games that have become the ones you simply can’t afford to miss out on. These include excellent choices such as Zombie Hoard, Tiger’s Glory, Strolling Staxx, Lucky Firecracker, Wild Falls and much more. The casino makes it easy to create a favourites list of your own by logging in and pressing the heart symbol attached to slot thumbnails or in the top right-hand corner of any slot page. This makes it easily accessible on other devices or when you log in again. With the biggest international development names forming part of the library, it’s easy to assume the best table games are available right here. The great thing is, you won’t be disappointed as our Twin Casino review reveals table games with the latest in graphics, realistic animations and completely random results while featuring standard game rules. There are also many unique variations of the most popular table games, including Double Ball Roulette, Caribbean Stud Poker, Spanish 21, Baccarat and more. They also include the standard variations of all your favourites, offering accurate rules and option betting options suitable for both low and high rollers. Gain quick access to the Twin live casino with the option at the top, taking you directly to a page filled with award-winning live dealer software from NetEnt and Evolution Gaming. These developers are leaders in live dealer software and provide the most exciting game opportunities with both standard and modern game varieties. Enjoy everything from standard European Roulette through to the latest Live Double Ball Roulette games or even Infinity Blackjack or Three Card Poker. If you are a fan of live dealer games, the Twin Casino platform is one you simply cannot miss. One of the greatest benefits with our Twin Casino review for mobile players is that the casino uses HTML5 software. This means there is no requirement to download any software as you can access all the features and gaming options directly from your mobile browser. Log in with the same account details and instantly see your balances, favourite games, history and everything else the PC-based casino page has to offer. The software platforms on offer use the same advanced HTML5 software, presenting flawless mobile integration with smartphones and tablets. Our Twin Casino review also discovers only the most secure payment methods are available, including both credit/debit cards such as MasterCard and Visa and E-wallets such as Skrill, PaySafeCard, Zimpler, Trustly, ecoPayz, Sofort and more. The casino has a 24-hour support team, allowing faster withdrawals as casino personnel can process payments faster. Even though there are so many online casinos to choose from, the establishment striving to be unique that tend to be the ones with the greatest benefits. Twin Casino has what it takes, not only to be unique but also to stand out as a casino with advanced gaming functionality and a variety of promotions that continue to grow with better benefits. It’s an establishment that continuously betters on the features we know, which is why our Twin Casino review rating is 8.5/10.